If you are looking to start a career in construction, then you’ve probably already read a few job descriptions. These job descriptions might outline the certifications and education that you need to qualify. Some job postings forget to mention the basic tools needed to perform your tasks or kickstart your career in construction. Why should you start by purchasing these tools? 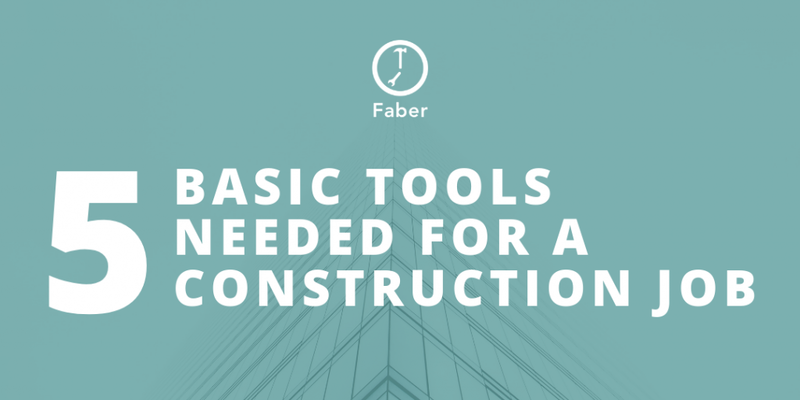 They are the top 5 tools that our Faber Contractors recommend to people who plan on starting a career in construction or skilled trades. 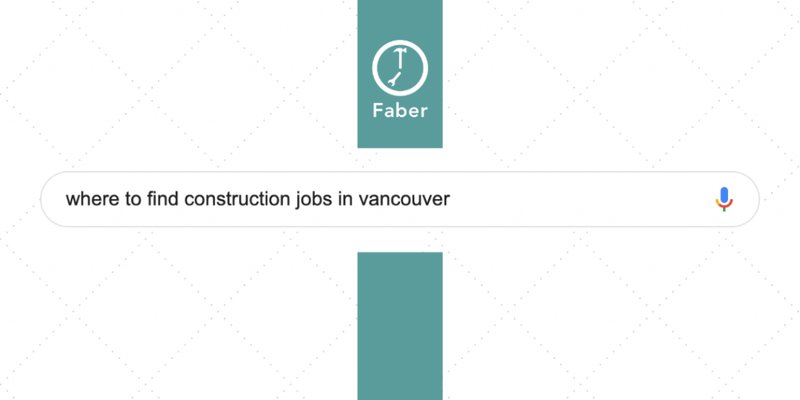 With these tools added to a Faber Worker profile, Faber Contractors can see what the Faber Worker is equipped with. 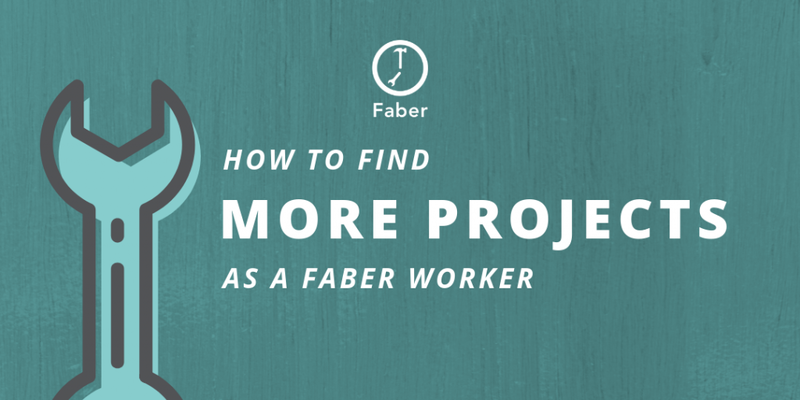 This increases your chances of finding short-term or long-term projects on the Faber Worker app. Back to the article – here’s why and how each tool prepares you for your first few opportunities in the construction industry. Hard hats are required on construction sites because of the potential of overhead hazards. If you are just getting into construction or skilled trades, a hard hat is a requirement. Contractors will turn you away if you do not have a hard hat with you. Not only is it a way to reduce risks on their end, but it’s also for your own personal safety. Your head is the most important part of your body, so take care of it by purchasing and wearing a hard hat. When you think about the risks and potential dangers on a construction site, then having a pair of steel-toe boots is a must-have. Much like a hard hat helmet, steel-toe boots are essential when working on a job site. Regular boots won’t work on a construction site. Steel toe boots are designed with a reinforced toe to protect your feet from falling objects or compression. Most steel toe boots come with reinforced plating in the sole to protect you from things that can puncture your foot (like nails). If you’ve ever stepped on a rogue lego piece before, then the thought of a nail puncturing your foot should be enough to get you to invest in a pair of steel-toe boots. Before you purchase a pair of steel-toe boots, pay attention to the markings on the boot label. These markings tell you the standards that these boots meet, as well as the type and level of protection it has. Keep in mind that site supervisors won’t pay attention to what your steel-toe boots look like. All they care about is that you are protected from head to (steel) toe. The safety vest is also one of the pieces you need for your PPE kit. In addition to a hard hat and a pair of steel-toe boots, the safety vest is a strong requirement for most job sites. Before you start looking into construction jobs or projects, make sure you have a safety vest on hand. This is a necessary tool because it helps you stay visible, especially when working on roads. A bright yellow, orange, or any other fluorescent coloured vest is hard to miss. Wearing a safety vest makes sure you are highly visible at all times of the day. It can also be used as an identifier for your fellow workers. If you plan on working at a job site that requires you to stand on a road or work in the dark, then you definitely need a safety vest. Wearing a safety vest is a requirement for most job sites anyways, so you’re better off purchasing one for the rest of your career in trades. Using a respirator mask protects you from harmful contaminants in the air. Even being exposed to dust can affect the way you breathe and work. There is usually a process in place to make sure you don’t need to wear a respirator. A respirator mask can be seen as a “last line of defence” when contaminants can’t be contained. It’s a good idea to buy a respirator mask anyways, as the type of environment you’re working in can change throughout your career. You might also decide to pursue a trade that requires a respirator mask. Respirator masks are not mandatory for most job sites. However, for some trades, it is mandatory to have a respirator mask handy. For example, one of the most commonly avoided airborne contaminants is asbestos. If you are in the demolition side of things, then asbestos can be lingering in the air. Don’t worry, your supervisor or project manager is required to tell you about any potential dangers in the air. Wearing a mask is also a must for painters and refinishers. The debris, vapours, and gases found in a Painter’s work environment can be harmful in the long run. If you are working in a place where airborne debris or contaminants can be likely, we highly recommend you purchase and use a respirator mask. Your tool belt acts as your toolbox and can be equipped with various tools depending on your trade. The purpose of a tool belt is to make your day easier by minimizing the time you spend fumbling around for a specific tool. Tool belts are not mandatory, but your life will be a lot easier if you have one. To succeed in the construction industry, your tool belt needs to house the tools you are required to use on the job. The tools you need as a General Labourer will differ from the tools a Framing Carpenter will have on their tool belt. There are also different kinds of tool belts such as an Electrician’s tool belt, a Carpenter’s tool belt, or a Framer’s tool bag. Think of a tool belt as the equivalent to a briefcase, but for skilled tradespeople. With a tool belt, you’re given a lot more convenience while also looking like a real trades professional. This isn’t a requirement for all projects, but it will be a requirement for your entire career in construction. Having a hard hat, steel-toe boots, safety vest, respirator, and tool belt covers the basic tools needed for every job site. If you are looking to break into the construction industry, then these are the tools you should get first. Although it’s true that you perform better with the right tools, you can never replace a great work ethic. If you show up to a job site with the mindset to learn, succeed, and grow, then these “tools” will take you hundreds of miles further than any wrench, pliers, or hammer can. At Faber, we found that these are the top 5 tools that our most successful Faber Workers have in their arsenal. Ready to join Team Faber? 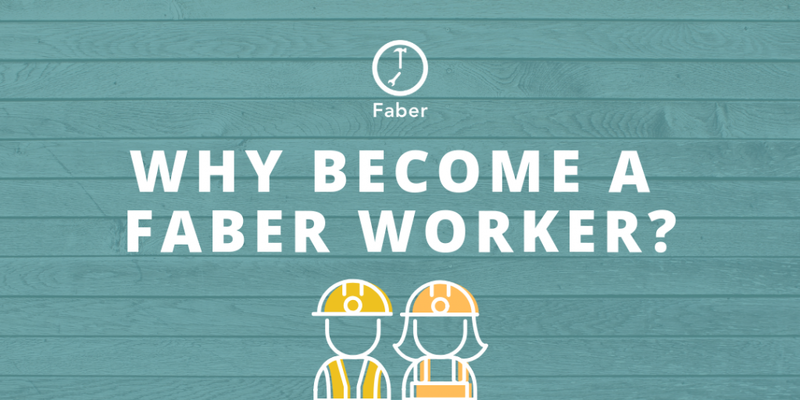 Sign up and download the Faber Worker app today. Previous Post Why Become a Faber Worker?